Scientists from the University of Plymouth and the Marine Biological Association have confirmed there has been a significant increase in open-ocean plastics in recent decades. In a research paper published in the journal Nature Communications, researchers present 60 years of data collected over 6.5 million nautical miles from the North Atlantic. It shows there has been a significant increase in larger plastic items such as bags, rope and netting (macroplastics) from 1957 to 2016. 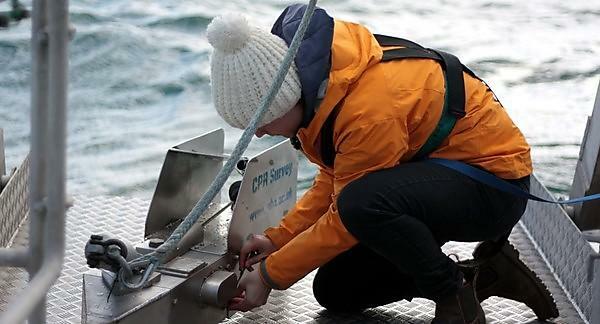 The findings are based on records of when plastics have become entangled on a towed marine sampler, the Continuous Plankton Recorder (CPR). The CPR device is towed in surface waters and occupies a similar space to a marine mammal, and therefore is impacted by entanglements in a similar way. Since the 1950s there has been a rapid increase in plastic production for a wide range of uses and as the global population continues to increase, plastic waste will continue to grow. The realisation that plastics are ubiquitous, and that the consequent health impacts are yet to be fully understood, has increased the awareness surrounding plastics. However, long-term environmental datasets of plastic debris (particularly large plastic debris) are virtually non-existent.